EAD Offroad carriers tire repair accessories from names you can trust like Rugged Ridge and more. 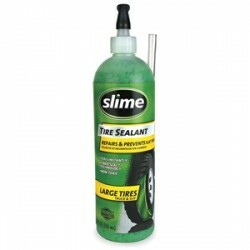 Slime Tire Sealant is formulated and tested for use in all pneumatic tires. 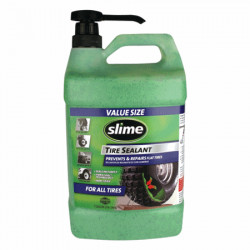 Once installed, Slime remains liquid and will not harden or dry out. Slime is guaranteed for 2 years. 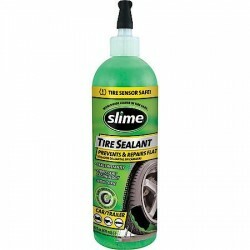 As the Slime treated tire rotates, centrifugal force pushes the sealant to the tread area creating a layer of protec..
Coming in a compact carry case, the speedy seal includes all the components necessary to repair tubeless radial or cross ply tires, without removing the tire from the vehicle or rim. 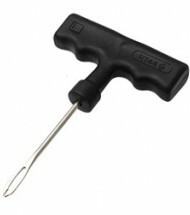 This includes a quality pencil type tire gauge with dual pressure range and dual chuck, insertion and reamer tools, l.. 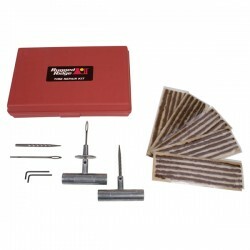 This tire repair kit from Rugged Ridge allows you to quickly plug your flat tire. It's easier than swapping out the damaged tire for your spare. The Rugged Ridge Tire Repair kit is essential recovery gear for any road or trailside tire repair. 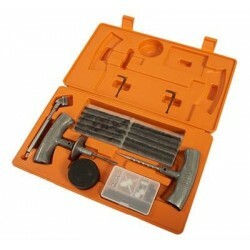 The heavy duty carry case includes: ..